This cardboard box has been through a lot of projects! A rocket spaceship. A pirate ship. A puppet theater. 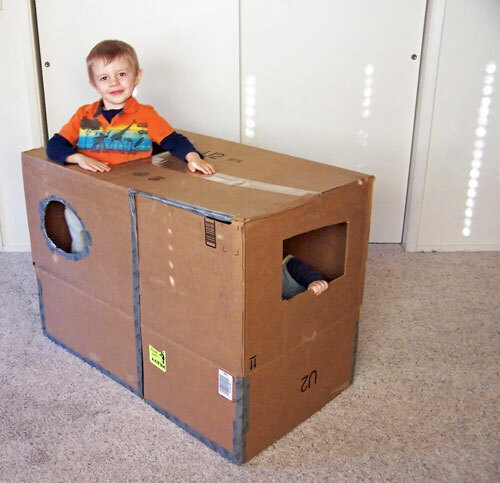 Sometime after the puppet theater project, Sean started laying the box down and playing inside. He’d poke his head up out of the hole and scare Malcolm, and they would laugh and laugh. 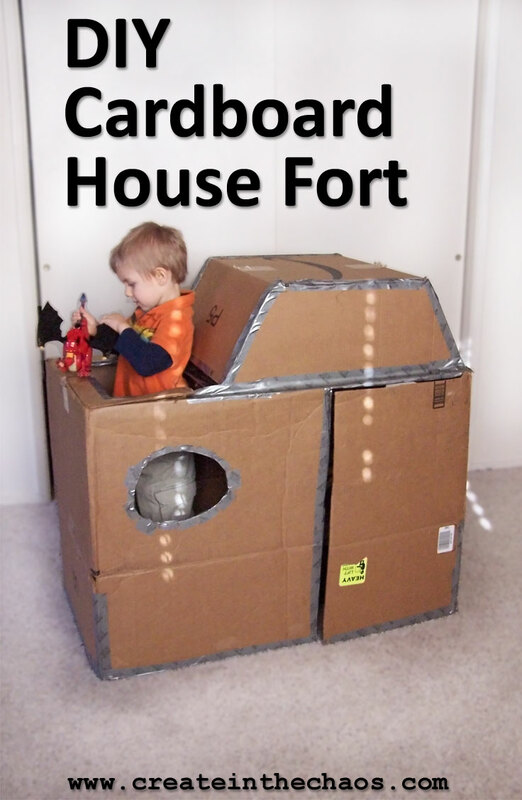 He asked me to make a door in the box so it could be a house. You can see where the circle windows came from here. And then the big hole in the roof is from this project here. I carefully cut a side of the box to be a flap for a door. I duct tape around the edge of the frame of the door. I cut an extra window in the side of the box as well. Sean also asked for a roof. 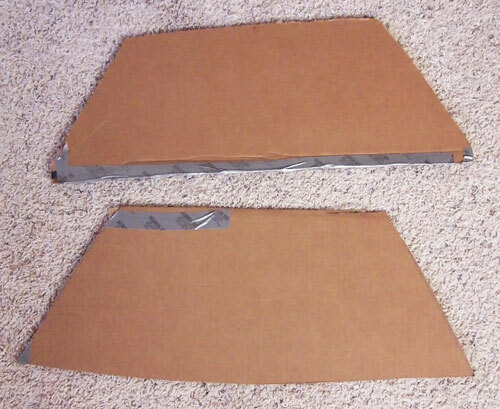 I cut two trapezoids to fit another piece of cardboard I had, and duct taped them together to make a simple little roof. They’ve had so much fun with this thing! 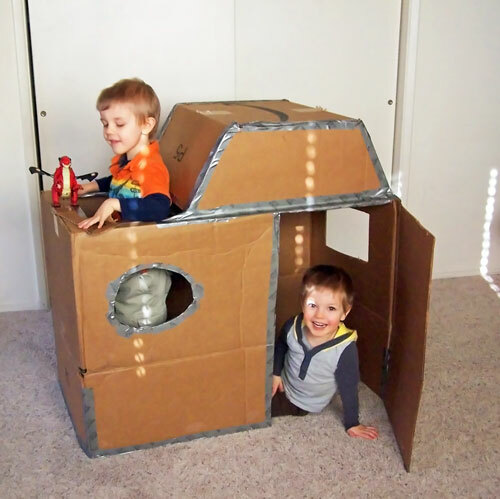 With a cardboard box house, there are so many variations you can come up with. Let me know how yours turned out!